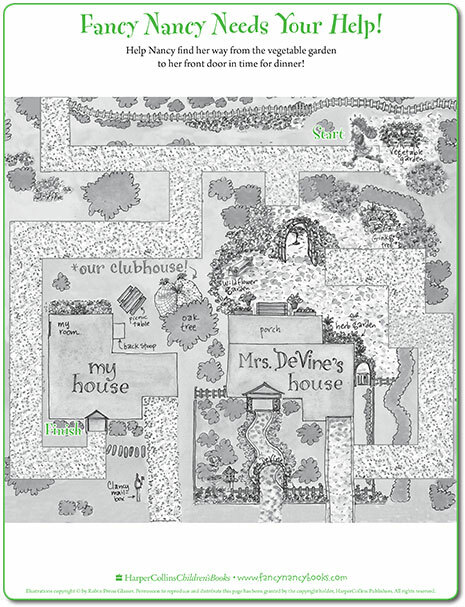 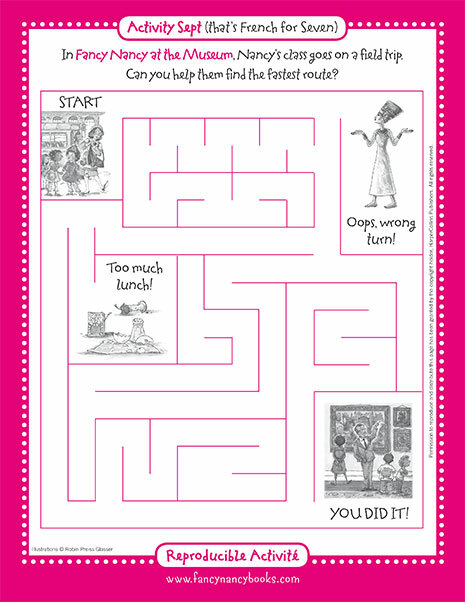 Draw a picture of you and your amie (that’s French for friend) with this printable coloring sheet. 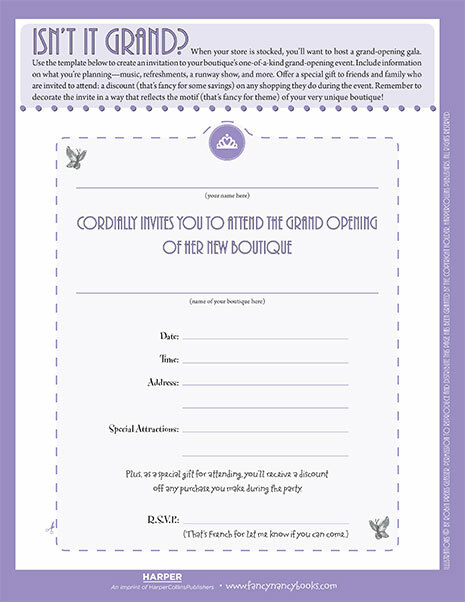 Create a printable invitation to your one-of-a-kind boutique’s grand opening! 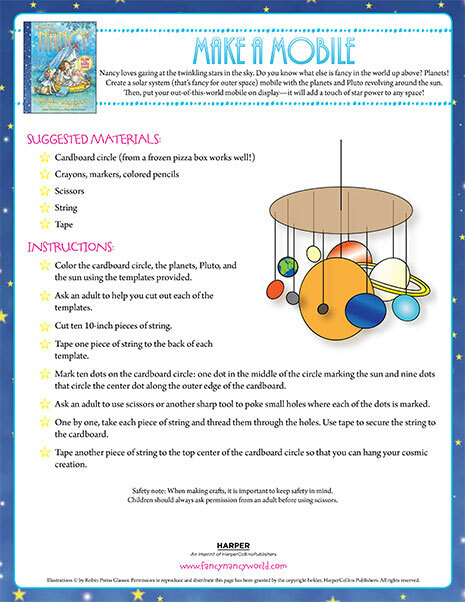 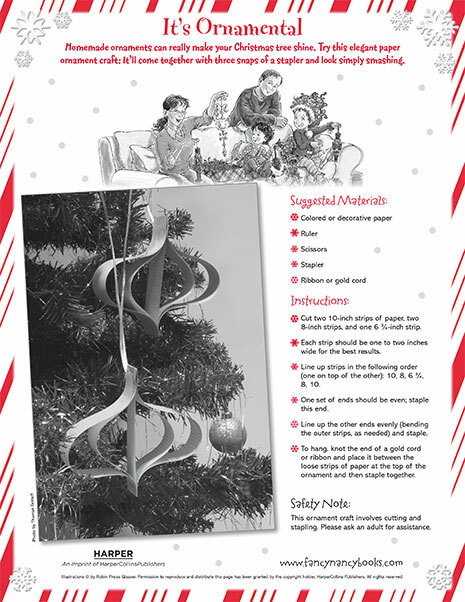 Bring the solar system into your bedroom by creating an out-of-this-world mobile of the planets! 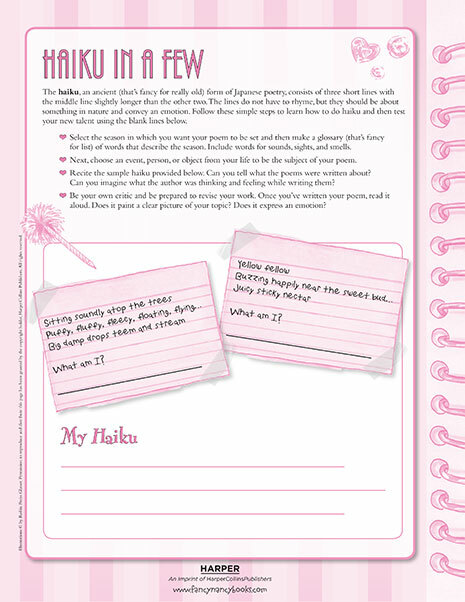 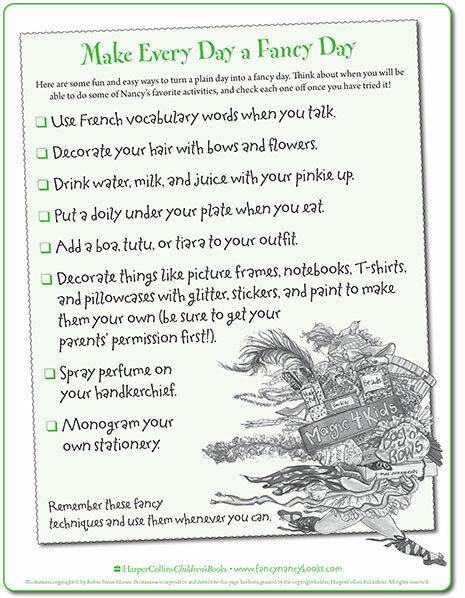 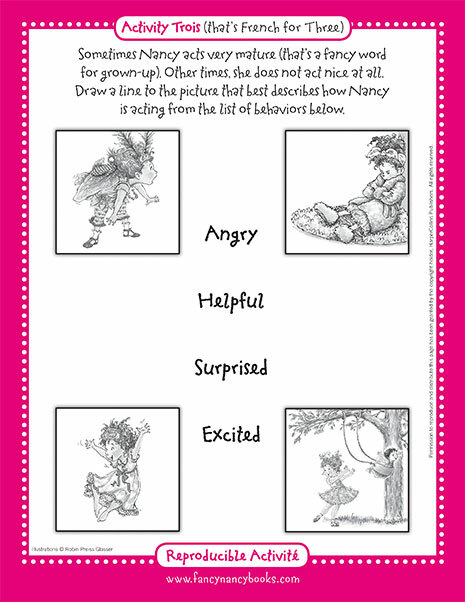 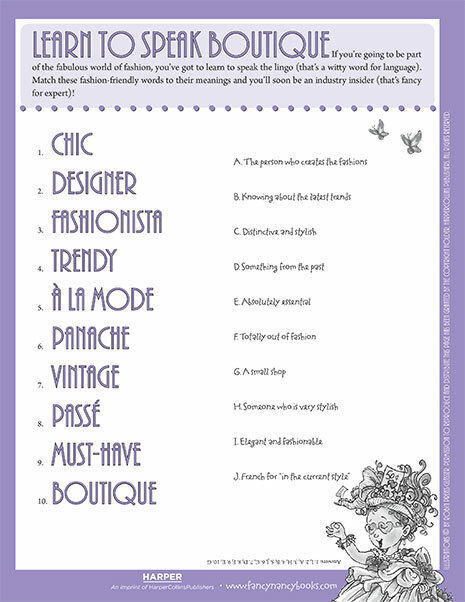 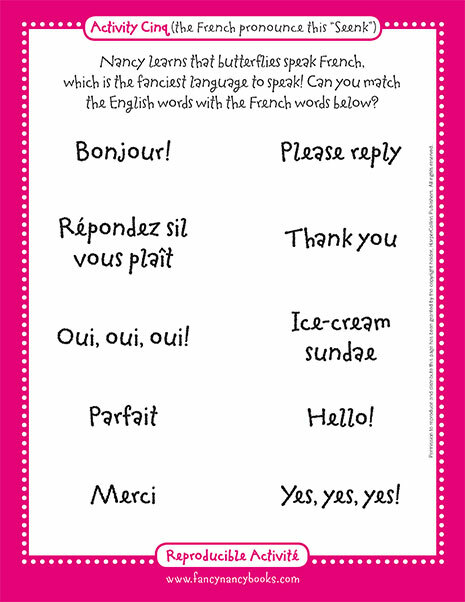 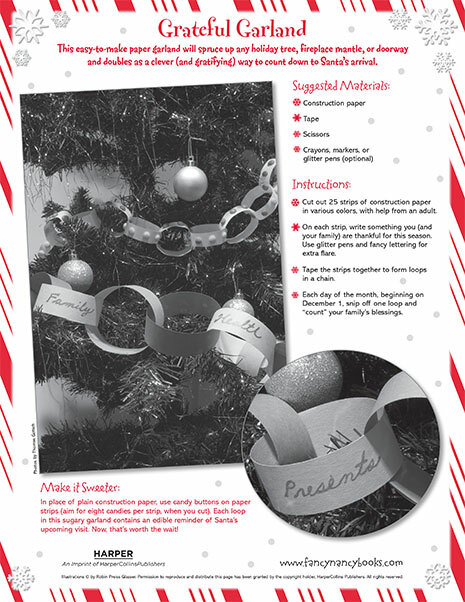 Turn an ordinary day into an extraordinary one with this printable checklist of fancy ideas! 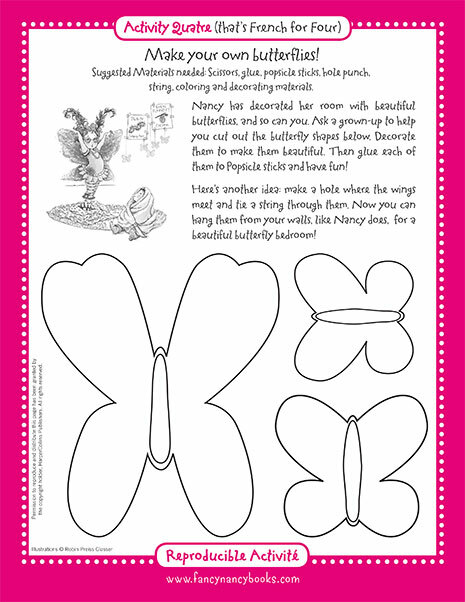 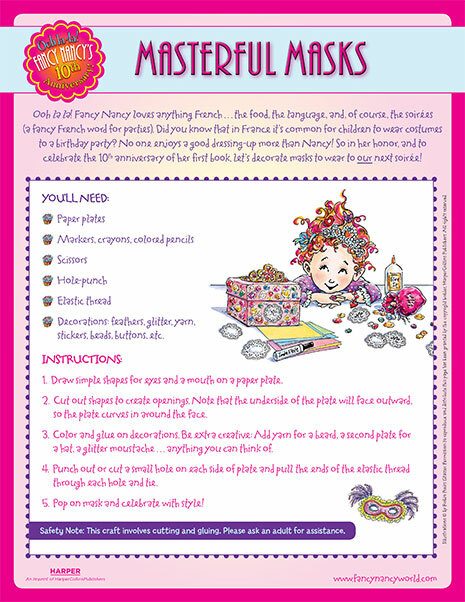 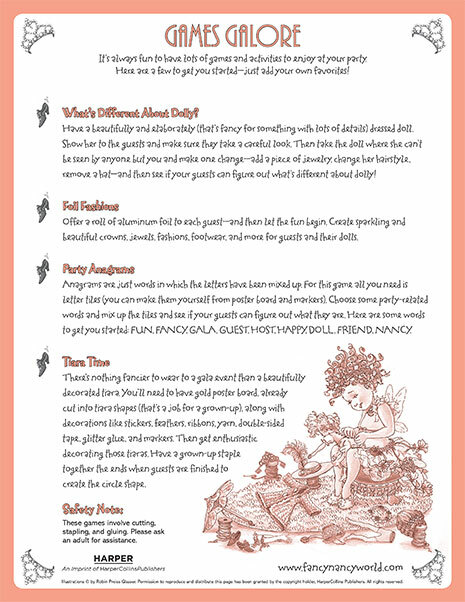 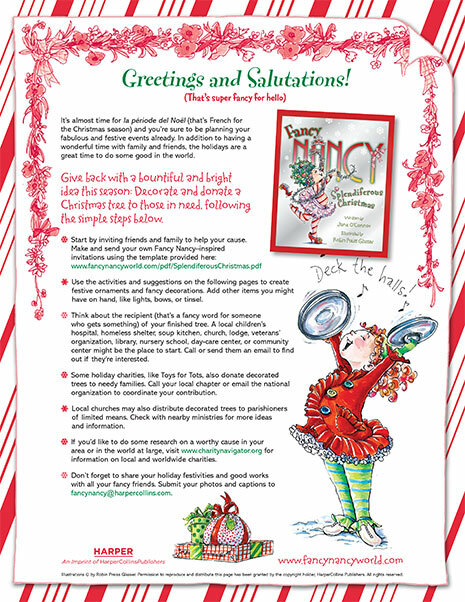 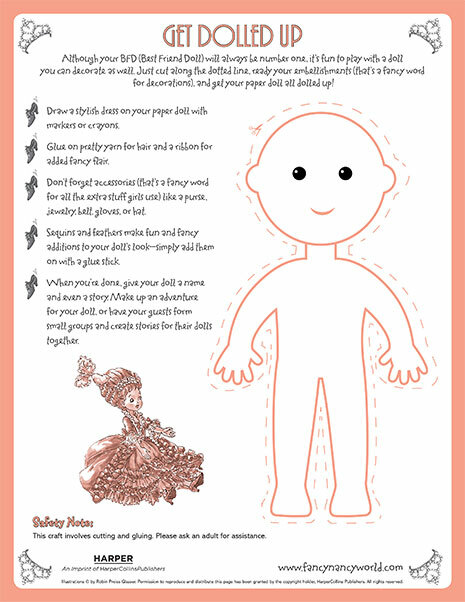 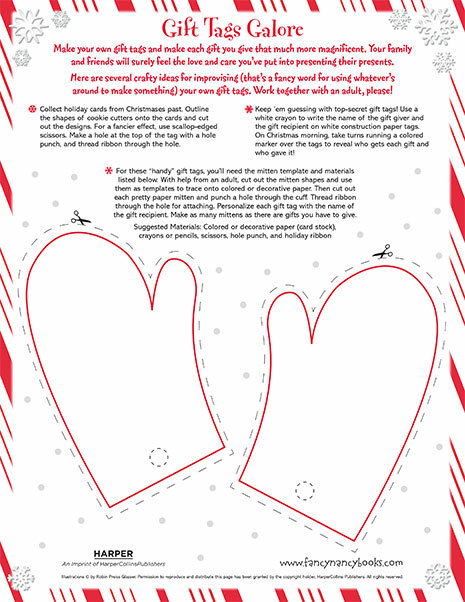 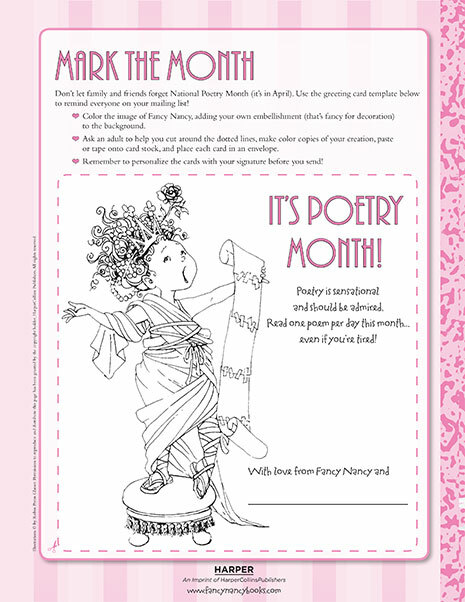 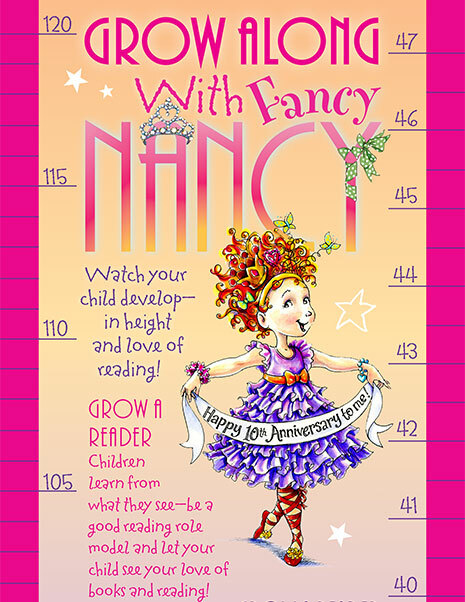 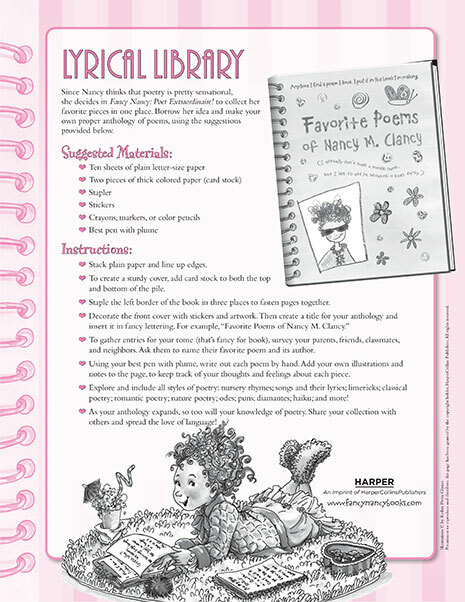 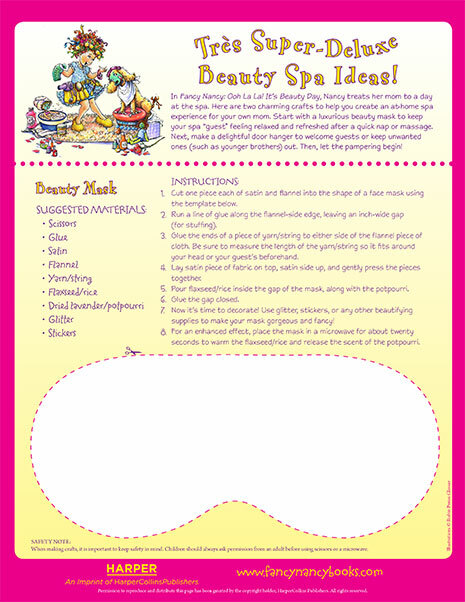 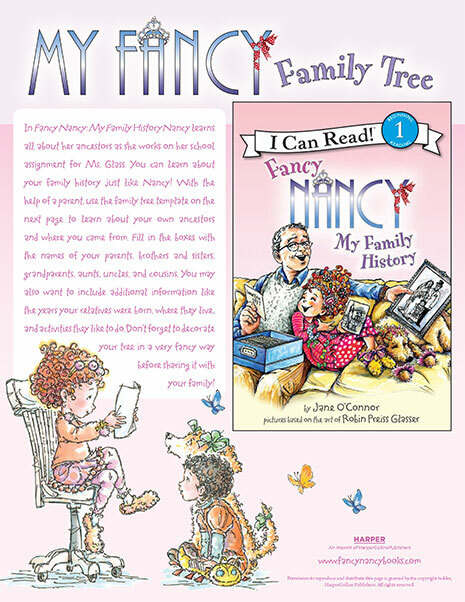 In honor of Fancy Nancy’s 10th Anniversary, use this printable craft activity to decorate a mask to wear to your next fancy party.